Pistachios are dry bright green nuts enclosed in shells. Originating from Western Asia, pistachio nuts are now cultivated in the dry climates of the West and places like the Mediterranean, Southeast Asia, Turkey, California, and Australia. These brilliant green nuts are nutritional power houses packed with heart-healthy fats, potent phytochemicals and free radical eliminating compounds that provide a healthy cardiovascular, nervous and reproductive system. 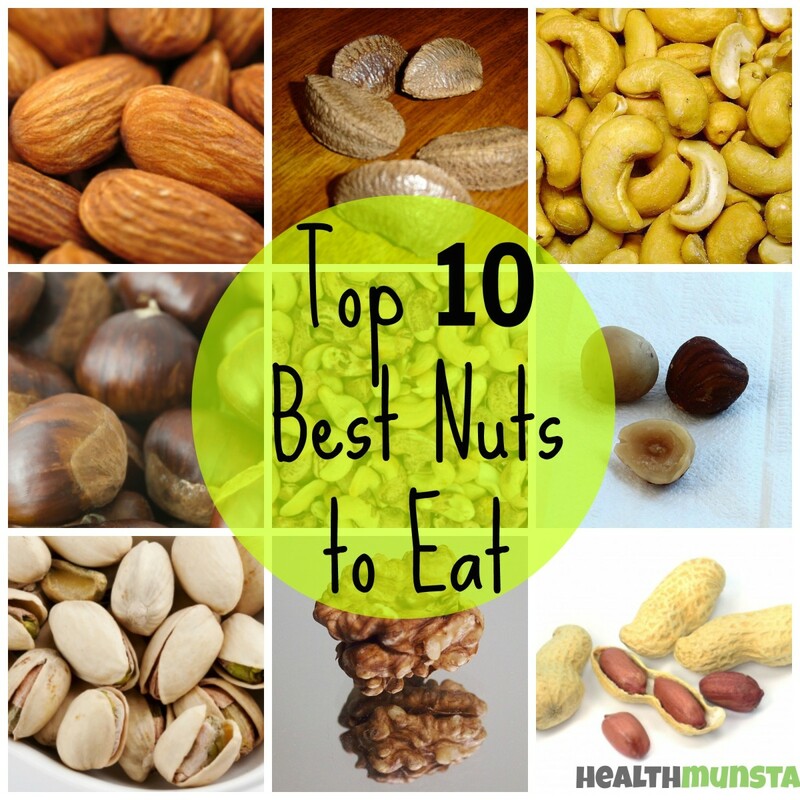 Eat pistachios regularly to enjoy the amazing health benefits these savoury nuts offer! For tissue growth and repair. Maintains healthy blood pressure. Prevents kidney stones and bone disease. 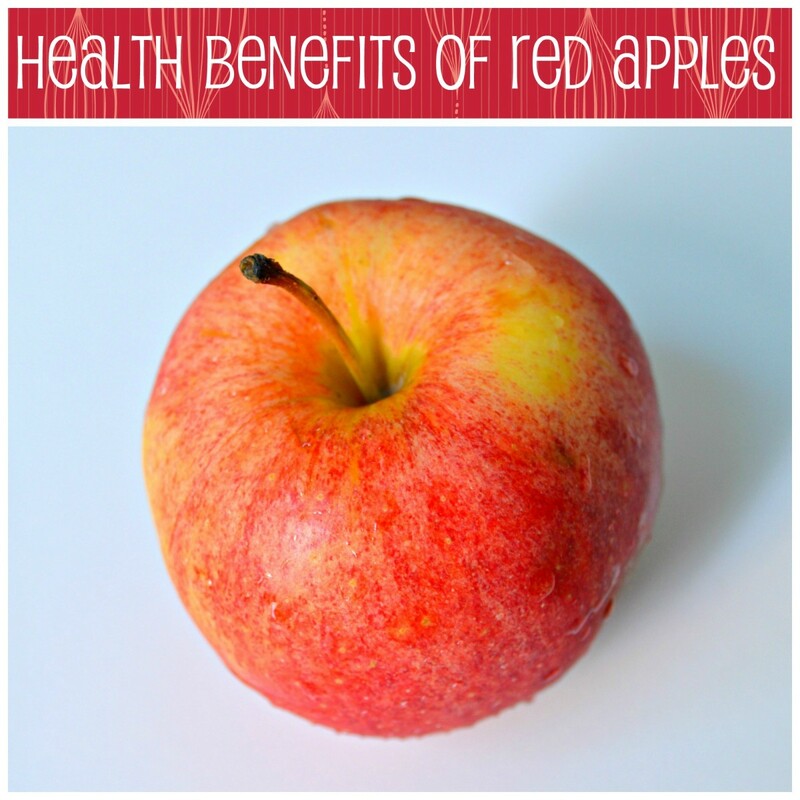 Essential for repairing worn out cells and formation of red blood cells in the body. For normal nerve and muscle functioning. Necessary for new cell formation. 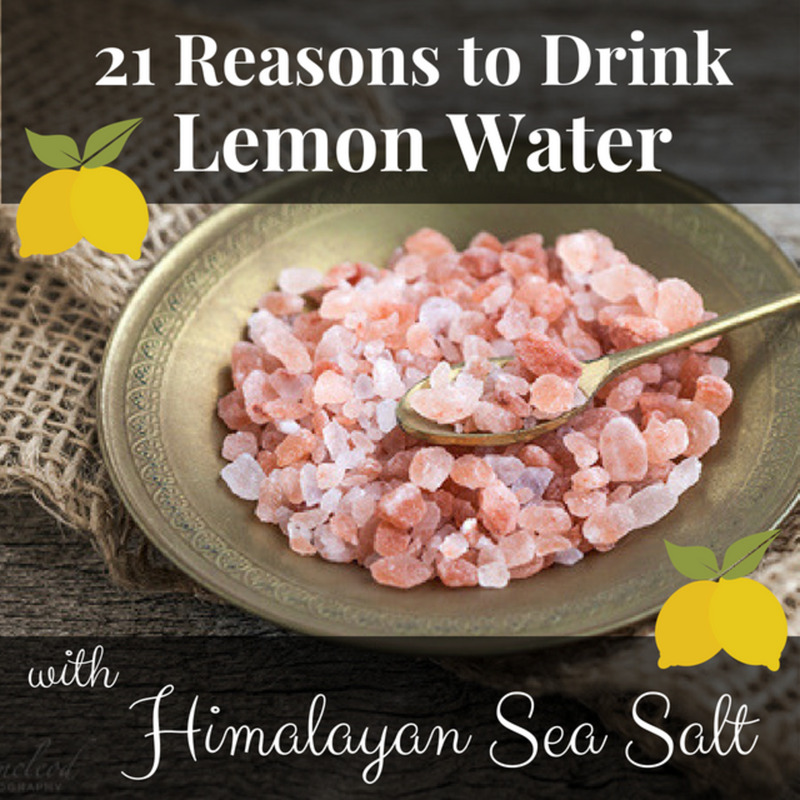 Essential for maintaining cellular function in the body. Essential for formation of antibodies and for proper nerve function. Protects cell membrane and promotes healthy glowing skin. Pistachios are one of the best nuts that make great snacks for weight watchers as they have zero cholesterol content! If you are someone who tends to binge, simply munch on a handful of pistachios before any meal as pistachios are filling and prevent you from over eating. 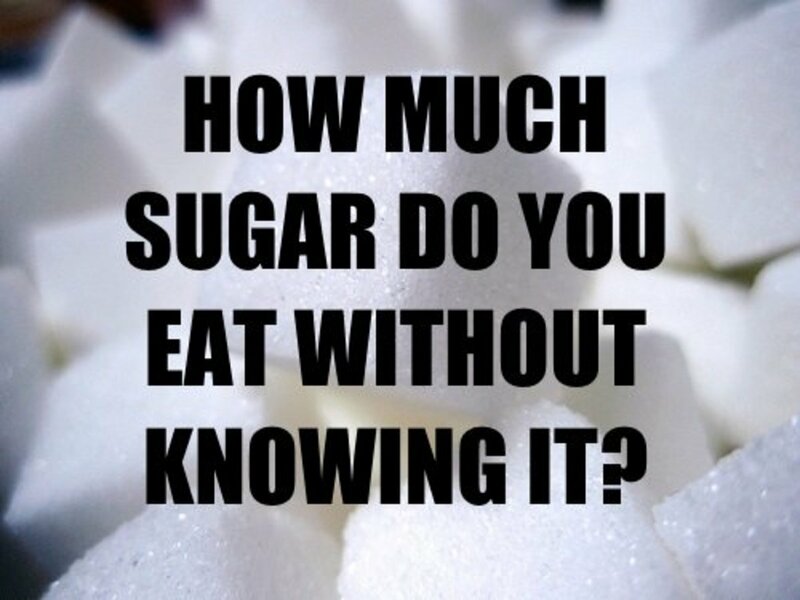 Over eating can cause you to put on more weight as you exceed the amount of calories that your body requires in a day. 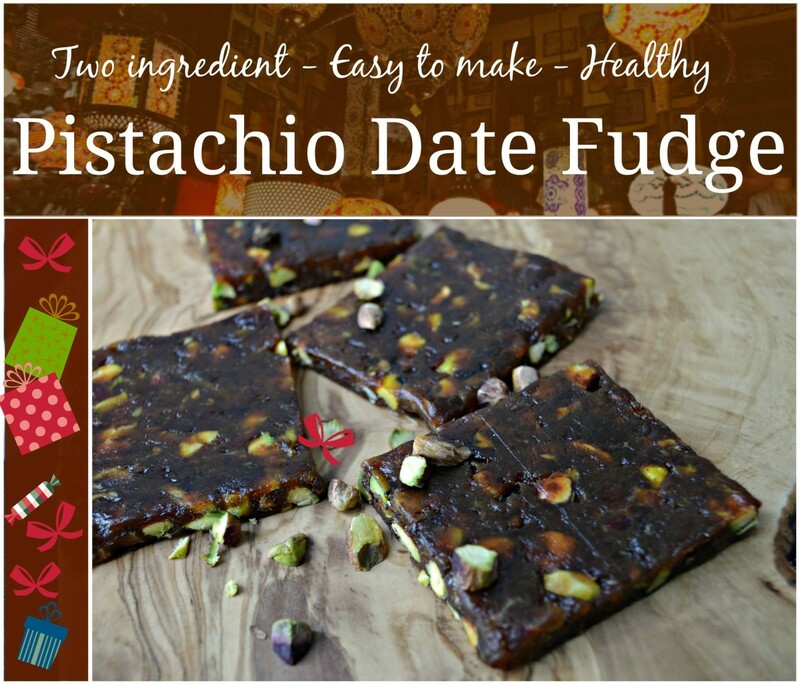 Recipe: How to make healthy pistachio date fudge. 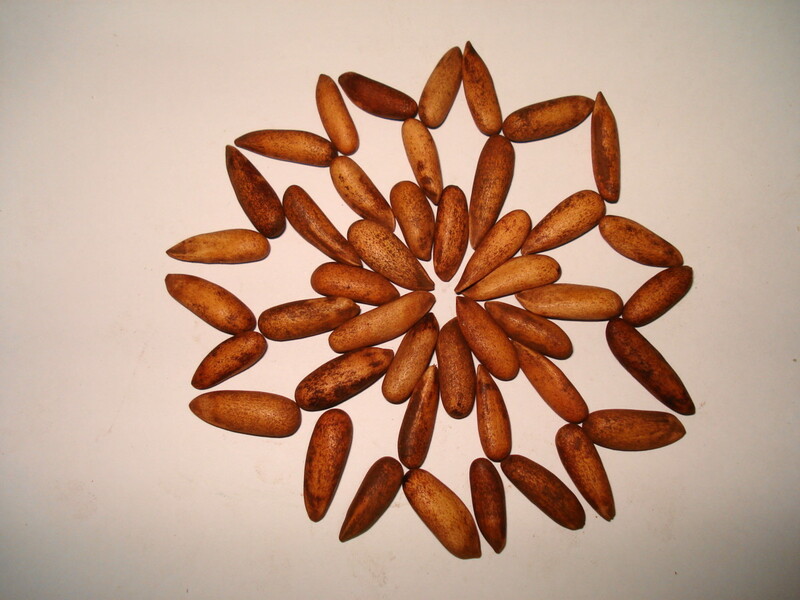 Roasted and salted pistachios are a widely eaten snack worldwide. If possible, avoid the overly salted and packed pistachios, as they contain too much sodium that can be harmful to heart health. Pistachios for Healthy Heart Studies carried out in the past have discovered pistachios to be a heart healthy food. This is because pistachios contain powerful phyto-chemicals such as gamma-tocopherol and arginine as well as monosaturated fat content. 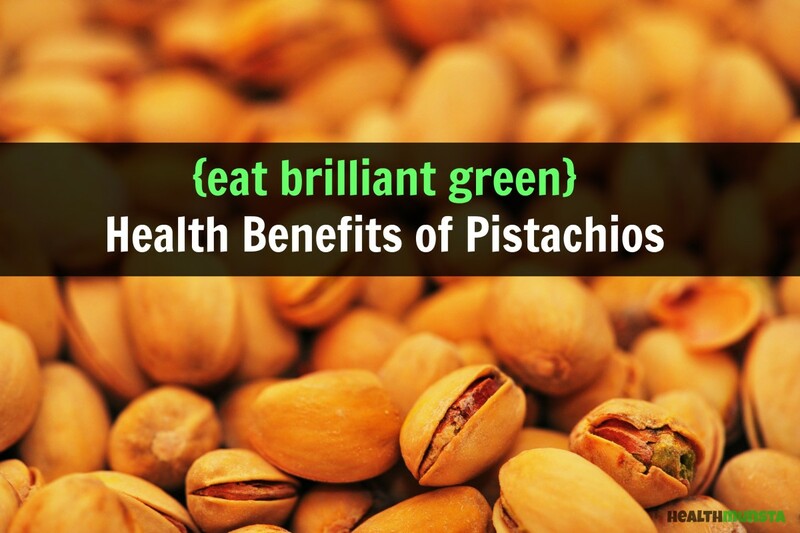 Regular consumption of pistachios can help lower the ‘bad’ LDL cholesterol in the body. LDL cholesterol causes inflammation and plaque build-up in the walls and blood vessels in the heart. The rich content of dietary fiber, monounsaturated fatty acids and powerful phyto-chemicals helps protect against coronary heart disease. Pistachios for Energy Boost Pistachios are energy dense dry nuts that can give you a healthy boost of energy. 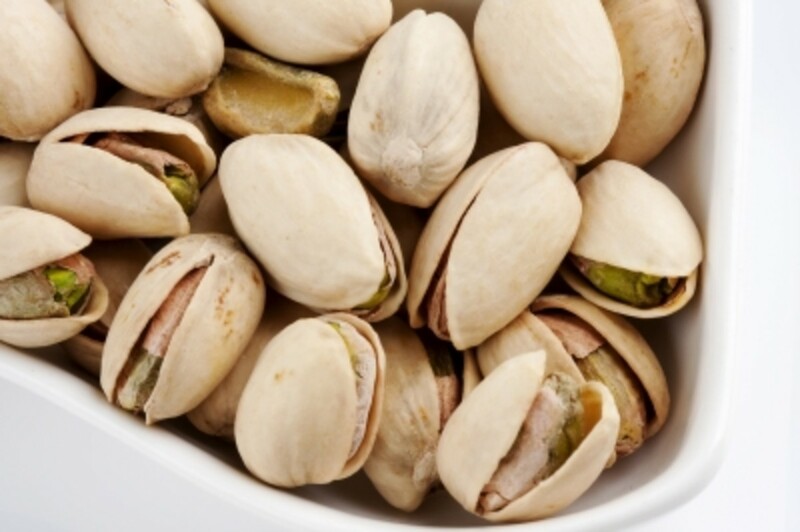 100 grams of pistachios contain 557 calories. Throw out those carbonated energy drinks and simply munch on a handful of pistachios to get that energy that you need before hitting the gym. Pistachios for Cancer Prevention According to the Cancer Prevention Research Conference, eating a handful of pistachios every day can help stave off lung cancer. This is because pistachios are rich in gamma-tocopherol, a form of the anti-oxidant vitamin E, which helps reduce the risk of getting certain forms of cancer such as lung cancer. Pistachios for weight watchers Research shows that eating nuts in moderation does not lead to weight gain. In fact, pistachios can actually help stave off those awful cravings and hunger pangs by keeping you full, as they are rich in fiber, vegetable protein and healthy fats. Pistachios for Beautiful Skin An excellent source of vitamin E, pistachios promote healthy beautiful skin. Vitamin E is a potent fat soluble anti-oxidant that protects skin cells from oxidative damage from free radicals. These free radicals steal oxygen from healthy skin cells, making skin dull thereby causing wrinkles to appear. 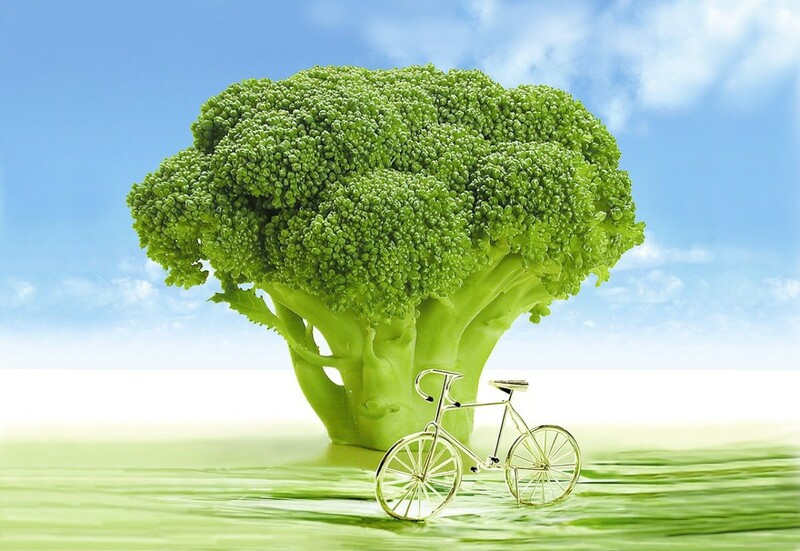 Vitamin E is also essential for healthy skin elasticity. 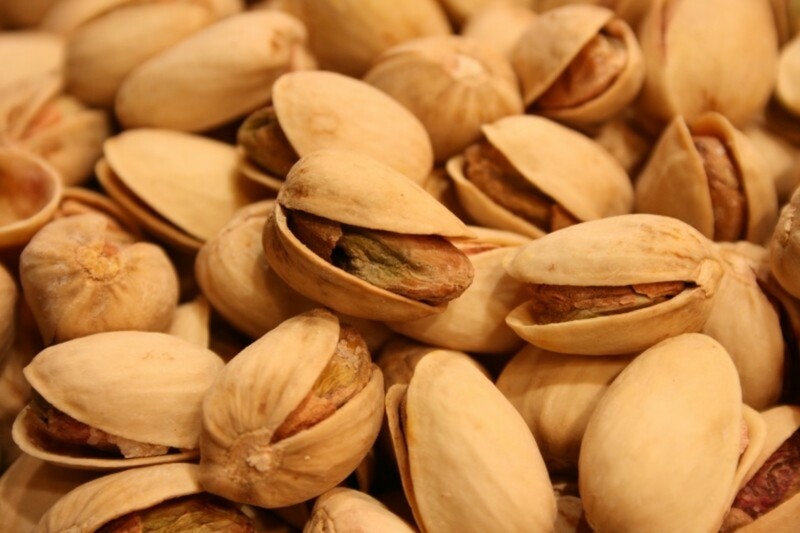 Potent phyto-chemicals in pistachios help fight off free radicals that cause oxidative stress to healthy skin cells. This has been shown in a study involving healthy people who, over a period of three weeks consumed pistachios as 20 per cent of their calorie intake. The result was that these subjects had decreased levels of oxidative stress. How to incorporate pistachios into your diet. 1. Simply munch away. Grab a handful of pistachios and eat them as a healthy snack in between meals to stave off high carb snacking. Count how many shells you’re cracking open though, you don’t want to go overboard in the fat department even though it is healthy fat. 2. Make a healthy trail mix. Combine pistachios with other roasted savoury nuts like almonds, raisins and cashews for a nutritious anti-oxidant loaded trail mix. 3. Healthy Dessert. Top your favourite frozen yogurt with tiny chopped pistachios. 4. Garnish with pistachios. You can garnish most any dish with crushed or chopped pistachios – ice cream, mousse, low fat cheese, grilled salmon and even steak. 6. Pistachios for Healthy Brain Function If you’re looking for brain food to increase your mental alertness and focus, then you’ve found one of the best brain foods to keep you sharp. Pistachios are a low carb anti-oxidant laden food that provides numerous benefits for the brain and nervous system. Not only do they prevent inflammation in the brain but also help preserve the essential fatty acids found in brain tissue. 7. Pistachios for Good Eyesight Pistachios are super packed with lutein and zeaxanthin, two powerful carotenoids that are very good for eye health. These anti-oxidants fight free radicals that can cause oxidative stress in healthy cells, as well as deflect UV radiation away from the eyes. For healthy eye muscle and tissue, munch on a handful of pistachios as a snack or sprinkle some into your morning cereal or oatmeal. 8. Pistachios for Diabetes Studies suggest that the nutrient content of pistachios helps regulate blood glucose levels. Pistachios are rich in healthy fats, vegetable fiber and protein, which make these tasty nuts a healthy food to maintain healthy blood sugar levels. Incorporate pistachios into your diet by munching them alone or combined in other dishes as they help prevent sudden spikes in blood sugar levels in the body. 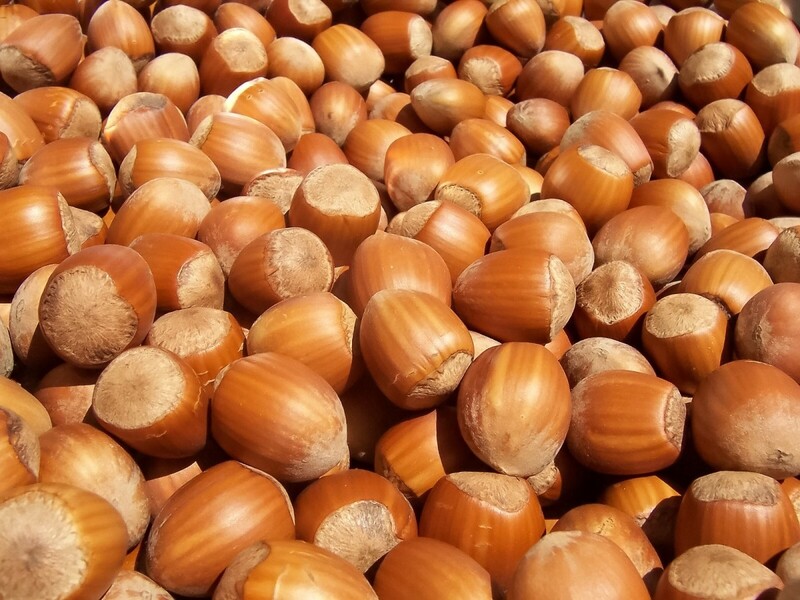 This is one of my favourite nuts. Thanks for sharing the detailed benefits of Pistachios. Voted up as useful! Thanks!